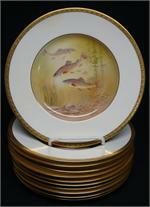 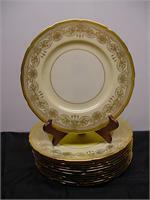 Here you will find sets of beautiful vintage or antique service plates, luncheon plates, fish and game bird plates, and dessert plates. 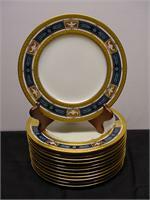 Manufacturers include such names as Minton, Spode, Lenox, Coalport, Royal Worcester, Royal Doulton, Royal Crown Derby, and more! 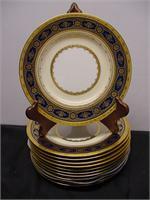 Many were made for such high-end retailers such as Tiffany, Ovington Bros., Bailey, Banks & Biddle, etc. 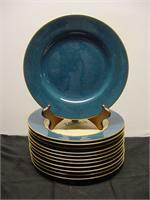 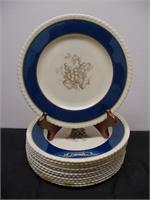 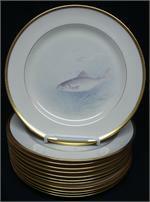 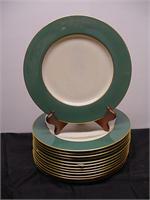 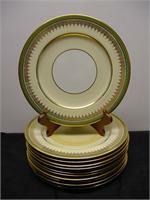 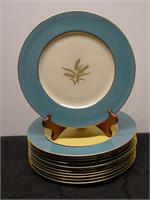 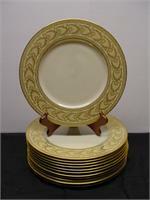 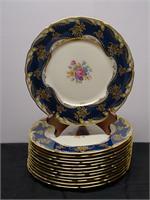 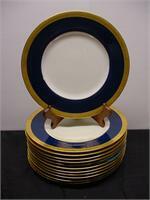 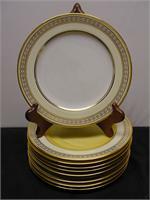 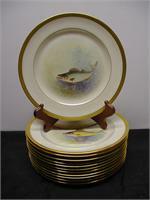 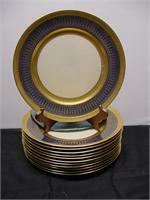 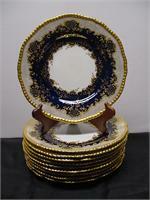 12 Lenox Maroon & Gold Service Plates.